The popularity of undbranded garments, as well as the garments of unknown brands, is quite easy to explain. All of these clothes are cheap, but still offer a decent quality. Especially if You think about the apparels for babies and children. 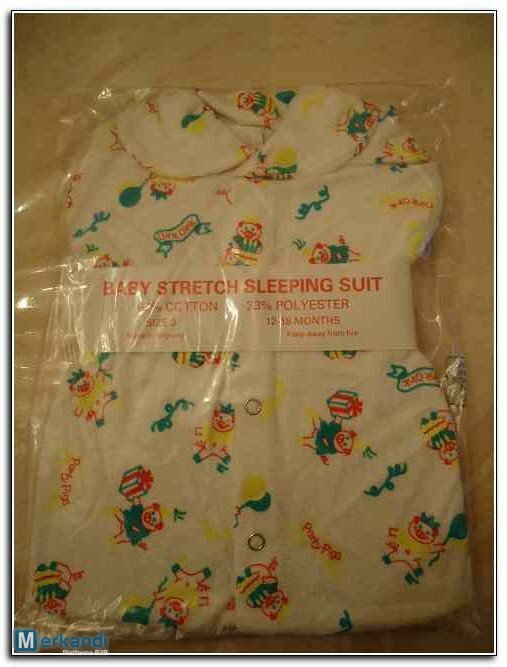 A large parcel of wholesale baby clothes has just been offered by a UK wholesaler of closeout and bankrupt stocks. It consists of both baby clothing and garments for boys. The whole parcel includes 24.600 pcs total and is being offered on a take all wholesale deal basis. It means that the supplier will not consider other deals, besides taking the whole stocklot by the buyer. All of these wholesale clothes were made in the UK, and are packed in packs of 12 pieces, while the whole lot is packed in 40 boxes total. The garments’ breakdown has not been put online, but can be easily obtained by contacting the wholesaler directly. In the pictures, one might find some rompers and other sleepwear, as well as some undershirts. Of course, all of these garments are sold at discount wholesale price, in order to clear them from the supplier’s warehouse. If You’ve been after the products of this kind lately, then You should get some more details of this offer directly from the supplier.